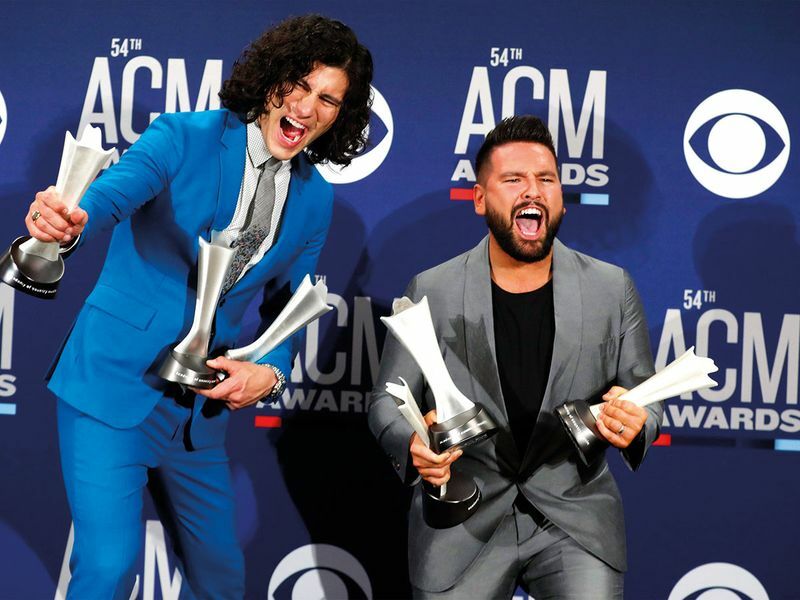 Grammy-winning duo Dan + Shay solidified themselves as the hottest group in country music with multiple wins at the Academy of Country Music Awards, where Keith Urban was named entertainer of the year and Kacey Musgraves won three honours. Urban won the top prize with his ninth nomination for the award, besting Chris Stapleton, Luke Bryan, Kenny Chesney and Jason Aldean, who held the title the last three years. 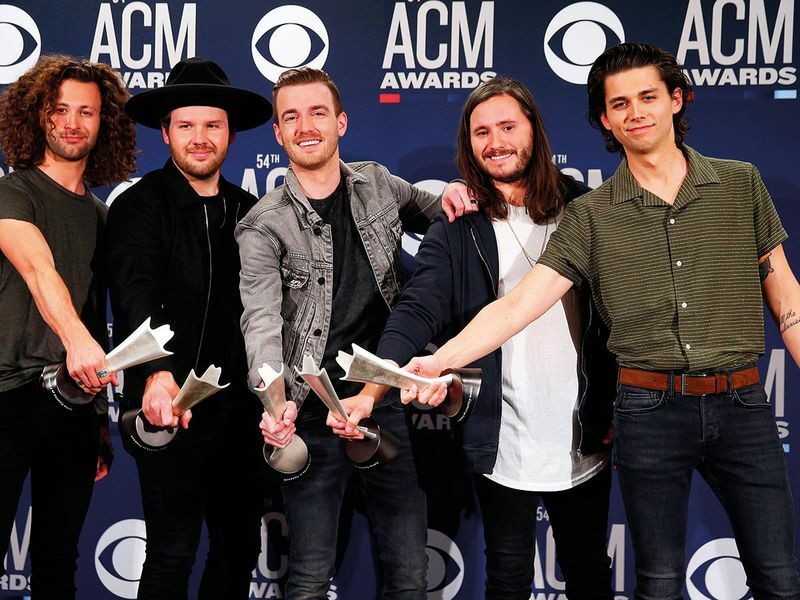 No women were nominated for the top ACM honour. Musgraves was the sole women up for album of the year. She won twice when ‘Golden Hour’ picked up top album — as an artist and co-producer of the project. She was also named female artist of the year. Other categories didn’t feature many female nominees: Bebe Rexha was the only woman competing for song of the year with ‘Meant to Be’, while Maddie & Tae was the sole female act up for duo of the year. Smyers technically won five honours — picking up double wins in song of the year as artist and co-writer (shared with Jordan Reynolds and Nicolle Galyon) and single of the year as artist and co-producer (shared with Scott Hendricks). Shay Mooney, who won three awards for his role in the duo, didn’t write or produce the song. 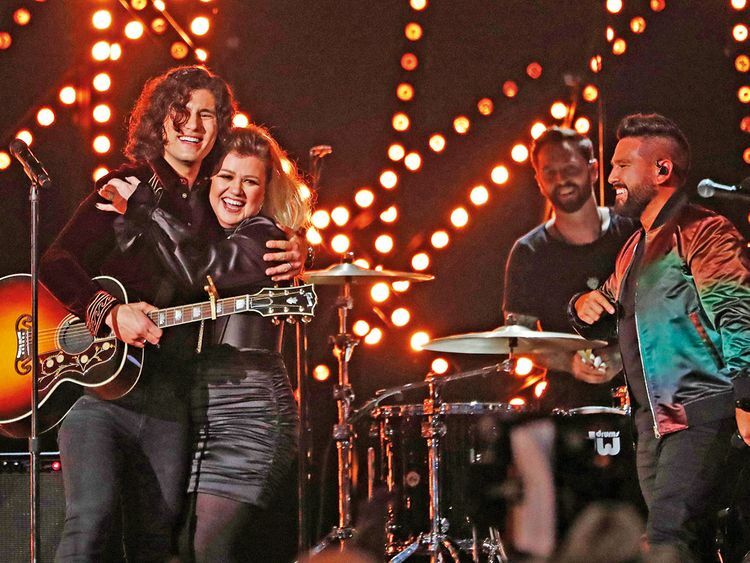 Rhett performed ‘Sunday’, while Dan + Shay hit the stage to sing ‘Keeping Score’ alongside Kelly Clarkson, hitting impressive high notes. Chris Stapleton’s performance was also a highlight. The singer-songwriter, who often performs with his wife, Morgane Stapleton, sang onstage as she held her hand over her stomach (she is pregnant). Emmy-nominated ‘This Is Us’ actress Chrissy Metz made her live singing debut and gave an emotional performance onstage, teary-eyed at the song’s end. Metz sang ‘I’m Standing with You’ from the upcoming film ‘Breakthrough’, which she stars in. 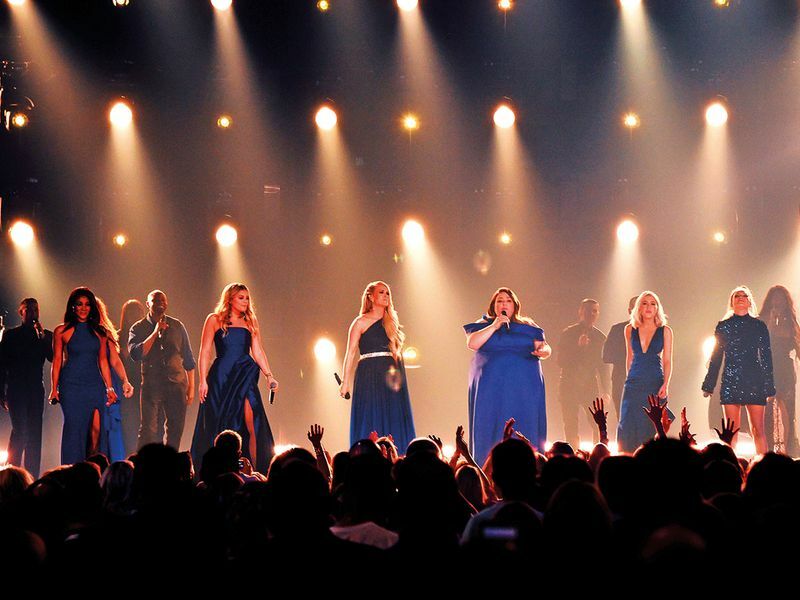 She was joined onstage by Carrie Underwood, Lauren Alaina, Mickey Guyton and Maddie & Tae — the performers all wore blue dresses and sang in unison. Ashley McBryde, who won new female artist of the year, also was memorable: Nearly in tears, she strummed her guitar and beautifully sang ‘Girl Goin’ Nowhere’. The 35-year-old was nominated for best country album at the Grammys and recently earned a Daytime Emmy nomination for her performance on ‘CBS This Morning Saturday’. McBryde shined again onstage when she joined Eric Church to sing ‘The Snake’. She said they could sing her song ‘No U in Oklahoma’, then said: “And that’s okurrr with me,” earning laughs from the audience.